"Nana" Patekar, born 1 January 1951) is an Indian actor, writer and filmmaker, mainly working in Hindi and Marathi films. He won a National Film Award for Best Supporting Actor and a Filmfare Award for Best Supporting Actor for his role in Parinda (1989). He then won the Filmfare Best Villain Award for his role in Angaar (1992). In 1995, he won the National Film Award for Best Actor as well as the Filmfare and the Screen awards for Best Actor for his role in Krantiveer (1994). He also won his second Filmfare Best Villain Award for his role in Apaharan (2005). Patekar was born to a Marathi family as Patekar on 1 January 1951 in Murud-Janjira in Raigad District, Maharashtra He is an alumnus of the Sir J.J. Institute of Applied Art, Mumbai. Patekar has played many types of roles. He has played the occasional villain, but has been a hero in most of his films. His debut film was Gaman (1978), after which he did several small roles in Marathi Cinema. He did the role of Nathuram Godse in the British television series Lord Mountbatten: The Last Viceroy. He had notable roles in Aaj Ki Awaz (1984), Ankush (1986), Pratighaat (1987), Mohre (1987) and Trishagni (1988). His performance in Mira Nair's Salaam Bombay! (1988) was praised. He was noticed by the mainstream Hindi Cinema for his portrayal of a crime lord in Parinda (1989), for which he won his first National Film Award for Best Supporting Actor and was also awarded the Filmfare Best Supporting Actor Award. He turned director with his movie Prahaar (1991), co-starring Madhuri Dixit, for which he underwent training for his role as an Indian Army officer and was awarded honorary Captain's rank in the Territorial Army. His role in Angaar (1992) earned him the Filmfare Best Villain Award. He co-starred with industry veteran Raaj Kumar in Tirangaa (1993). He played a truant, gambling son in Krantiveer (1994), for which he won the National Film Award for Best Actor and also won the Filmfare Award and the Star Screen Awards. 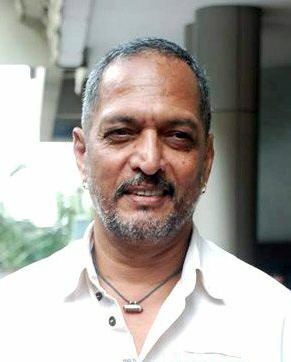 Patekar portrayed the character of a ghost in the children's film Abhay, which won two awards at the 42nd National Film Festival held in 1994. He co-starred with Rishi Kapoor in Hum Dono (1995). He played a wife beater in Agni Sakshi (1996), a deaf father to Manisha Koirala in Khamoshi (1996), a gangster in Ghulam-E-Mustafa (1997), an honest, but maverick cop in Yeshwant (1997) and a schizophrenic in Wajood (1998). He co-starred with Amitabh Bachchan in Kohram (1999), where he played an undercover Indian Army intelligence officer chasing Bachchan's incognito. His other notable films of this decade were Yugpurush (1998) and Hu Tu Tu (1999). He starred with Aditya Pancholi as the CBI director in the crime drama Tarkieb (2000). After a hiatus of a year he returned to acting in Shakti (2002) in which he played the role of an extremely violent father. In Ab Tak Chhappan (2004), he played a police officer who is an encounter specialist. His performance in Apaharan (2005) earned him his second Filmfare Best Villain Award as well as the Star Screen Award Best Villain. He played a taxi driver in Taxi No. 9211 (2006). Patekar has also done comic roles, such as in Welcome (2007), in which he plays a powerful crime lord in Dubai who once desired to be an actor in films. He acted in Sangeeth Sivan's film Ek (2009). He played the role of a school headmaster in Paathshaala (2010). He also acted in Prakash Jha's multi-star political drama film Raajneeti (2010). In 2011, he starred in the critically acclaimed Shagird and a Marathi film Deool. His next film was Ram Gopal Verma's The Attacks of 26/11 (2013) based on the events of 2008 Mumbai Attacks in which he played the role of Joint Commissioner of Police Rakesh Maria. In 2014, he starred in another Marathi film Dr. Prakash Baba Amte - The Real Hero. In 2015, he made two sequels reprising his roles in Ab Tak Chhappan 2, sequel of Ab Tak Chhappan and Welcome Back, sequel of Welcome. In 2016, he starred as Ganpatrao "Appa" Belwalkar in the film adaptation of the Drama Natsamrat which was highly successful critically and commercially. He did the voice acting for Shere Khan in the Hindi version of The Jungle Book (2016). Patekar did some playback singing in the films Yeshwant (1997), Wajood (1998) and Aanch (2003). Patekar married Neelakanthi Patekar and they have a son Malhar Patekar. But, their married life did not go well and it resulted in a divorce later on. He joined the Signals Regt in the early 1990s. He took up the sport of rifle shooting and qualified for the G.V. Mavlankar Shooting Championship. 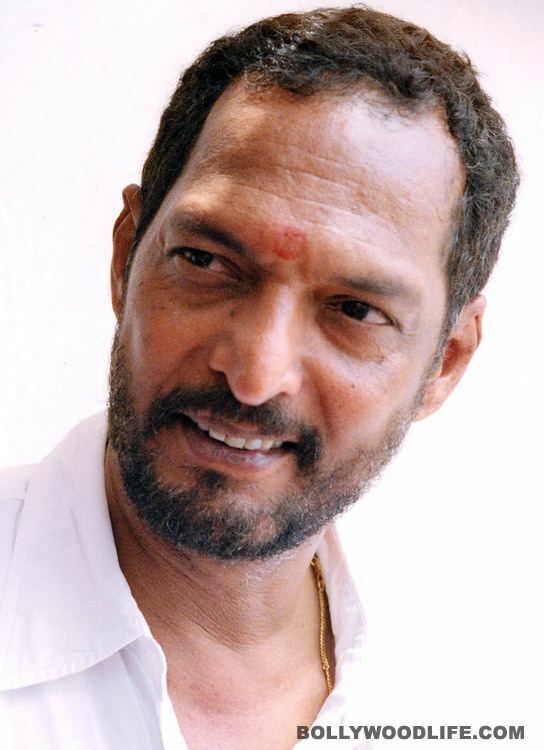 Patekar is known for his simple lifestyle and is known for his generosity in donating to charities. He contributed money towards rebuilding of the flood ravaged villages in Bihar through the charitable organisation Anubhuthi. All the monetary remuneration he obtained for his performance in the movie Paathshaala was donated by him to five different charitable organisations. When he was awarded the Raj Kapoor award which carries a cash prize of Rs 10,00,000, he donated the entire amount towards drought relief activities in Maharashtra. He also provided financial aid to families of farmers who committed suicide due to indebtedness brought about by drought. He distributed cheques worth Rs 15,000 to 62 families of farmers from Vidarbha region in August 2015 and another 113 families from Latur and Osmanabad districts of Marathwada in September 2015. 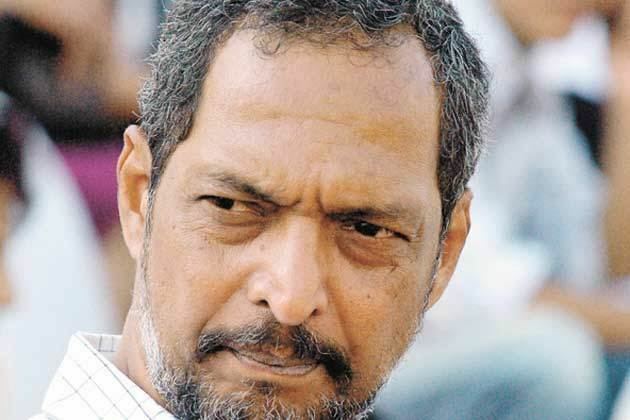 In September 2015, Patekar established an organisation, Naam Foundation, with fellow Marathi actor Makarand Anaspure, which works to provide aid to farmers overcome by drought conditions in Maharashtra, India. Using a Twitter campaign with the hashtag IcareIsupport, Patekar was able to obtain funds to help Maharashtra Drought victims. 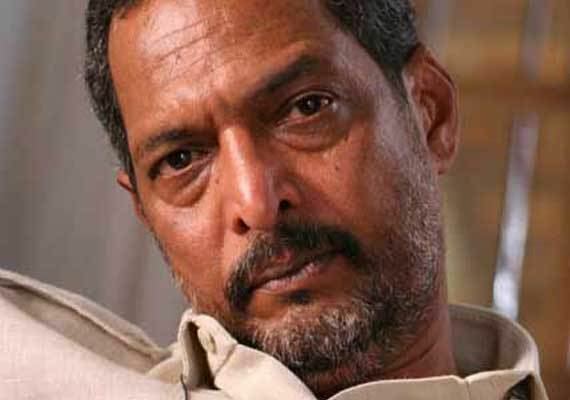 Patekar has been awarded Padma Shri award for his dedication in the field of Films and Arts in 2013 on the eve of 64th Republic Day. Patekar is the only actor ever to win Filmfare Awards in the Best Actor, Best Supporting Actor and Best Villain categories.